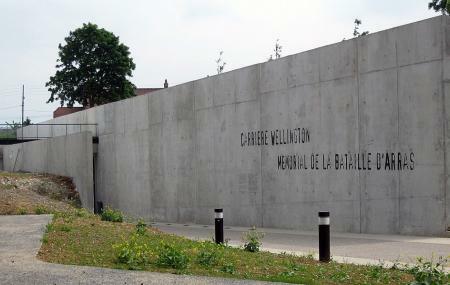 Career Wellington is a museum which derived its name from an underground quarry that was used by British forces. Since its development in 2008 the prime aim of the museum is to commemorate the soldiers of Battle of Arras and the workers who had designed the tunnel. Several artefacts, photographs and documents those are related with the battle are exhibited here. It provides the visitors with a lift shaft to get access to the underground gallery. It welcome handicapped persons too as it gives access to wheelchair facility. Many events are hosted by Career Wellington here throughout the year. How popular is Carriere Wellington? People normally club together Université D'artois and Cite Nature while planning their visit to Carriere Wellington. Fascinating history that's brilliantly presented. A great way to spend an hour or so underground and out of the weather. As a bit of an AV nerd also, it's great to see technology put to such good use in telling the stories of times past. Very slick and refined audio, video and lighting.